Rawhide Studio for that Unique gift ! Circle Dance Earrings! Wonderful movement and style. 57 days till…. You know what I’m talking about so I wont say it but Rawhide Studio’s lightweight, natural rawhide jewelry makes a wonderful gift for any occasion. Purchase online, at one of our many fine outlets (look on our website for a full listing) or at one of these upcoming shows. Last weekend we went to the Houston area for a family wedding. Saturday, the weather was fine and the wedding went off without a hitch! Congratulations to Anthony and Nicole Clarkson! The day before the wedding we went into the big city ( Cheyenne is dinky in comparison) to visit the Houston Museum of Contemporary Craft and get some authentic Texas BBQ. First art then food! HMCC is small but the shows were first rate. Two of the gallery spaces featured interesting ceramic shows and the third space had a book and jewelry show. In the center of the Museum is the Asher Gift Gallery. The Asher has been carrying Rawhide Studio jewelry for over a year now. The staff was very friendly and spoke well of our jewelry and its popularity. Thanks HMCC for supporting artisans around the country. Drew’s BBQ on Richmond and Roseland is the real deal. Locally owned with the man himself serving up the goods. Great brisket and sides! When we say Rawhide Studio is Wyoming made we really mean it! Since the beginning we have tried to find a local source for our rawhide. When we searched the internet and came across Absaroka Western Designs in Dubois WY, we knew we had to make the 5 hour trek to see what the place had to offer. When we arrived at the shop we met the owner Joe Brandl and explained that we made jewelry out of rawhide and were looking for a Wyoming source. He took us through his workshop and then showed us some of his antelope and elk hides. We sorted through them, purchased a few and headed back to our campsite excited about our find! Of course the trip had to include some fishing for Dave and we made a connection with a gallery in Dubois called Pony Tracks. All and all a great trip to a beautiful part of Wyoming! 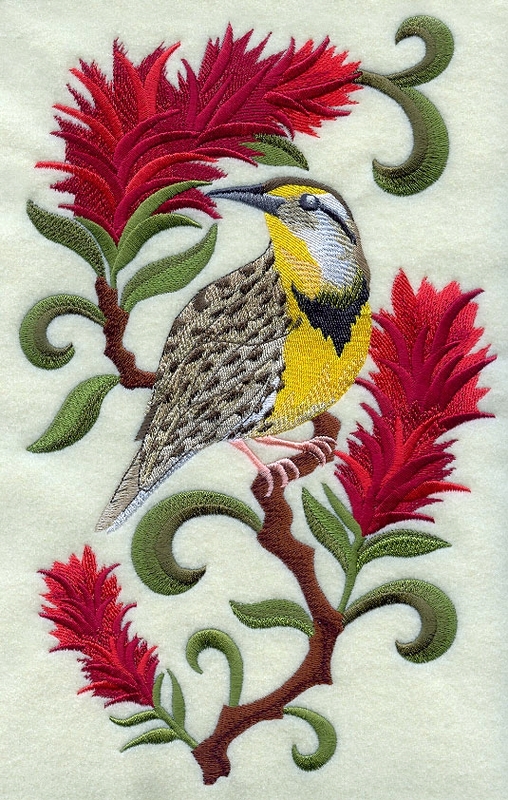 Dave and Georgia Rowswell invite the community to an open house and reception at Artful Hand Studio & Gallery. Open from 5-8pm on Friday May 2nd & Saturday May 3rd at 302 East 1st Ave. Cheyenne. Stop in and see what’s new in the Rawhide Studio line and enjoy 25% off on our jewelry line and handmade paper cards. Think Mother’s Day, graduation and wedding presents! Shop local and artisan made! 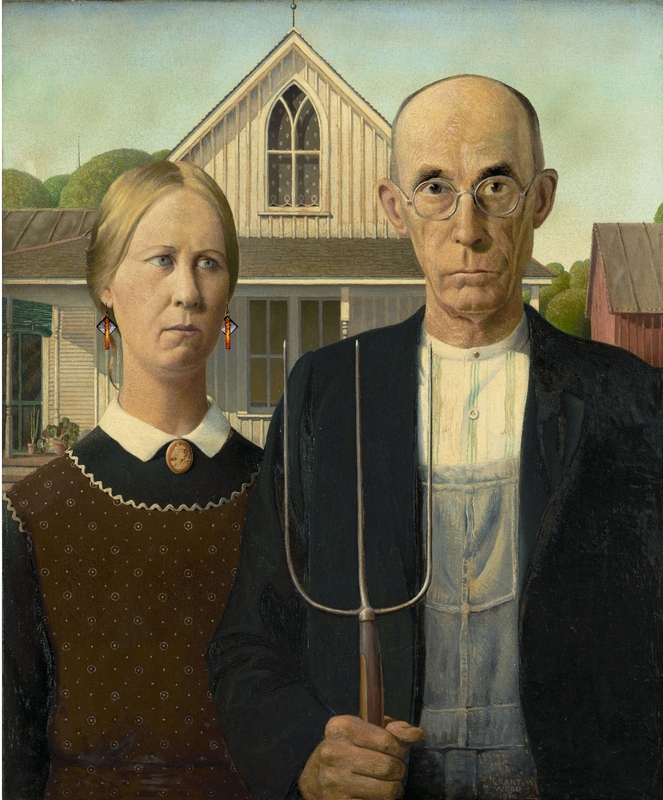 She’s worked hard all her life so her hubby decided to splurge and buy her a pair of Prairie Pine earrings. As soon as the Prairie Pine necklace comes online he’s going to buy that for her too! Then she can stop wearing that boring cameo brooch! And the title and artist is? Look Whose Wearing Rawhide Studio! Sometimes you just have to have a little fun! Over the next three days I will be posting some famous folks who decided to be “Ahead of the Herd in Jewelry Style!” Here’s the first. Can you name the artist? 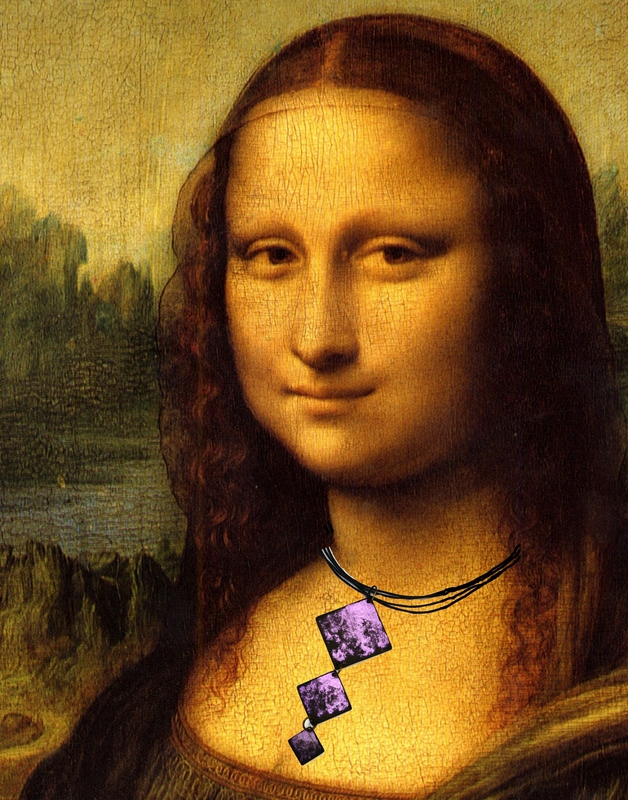 Mona’s looking fine in her violet Square Dance necklace from the Prairie Life collection! We will have our line of jewelry at this unique venue’s gift shop for the 2014 season! They also have handmade items made in Wyoming’s state prison which gives the inmates some skills and spending money. We are looking forward to taking the tour of this historical site. 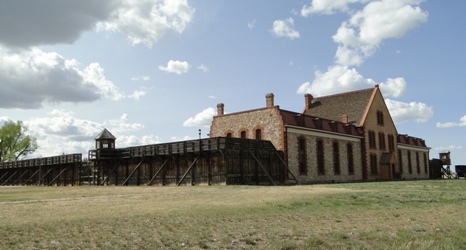 “The Wyoming Territorial Prison State Historic Site has an incredibly rich history. Run as a federal (territorial) and state prison from 1872 to 1903, it then became the Agricultural Experiment Station for the University of Wyoming after the State Prison relocated to Rawlins. The site is now operated as a Historic Site by the State of Wyoming”. Guided tours are provided on Fridays – Saturdays at 11:00 a.m. and 2:00 pm., Sundays – Mondays at 2:00 p.m. and are included in the price of admission.